Another week, another cow pat for David Cameron to create, position, and step in up to his neck. This week’s cow pat is of the Aberdeen Angus variety and it is of such depth that his comb-over is barely visible above the crust. Yes, you’ve guessed it, it’s the subject of Scottish independence and David has decided that this week is a good week to dictate to the Scottish Parliament exactly how and when the vote should happen. If Scotland tries to do it at a non-Westminster approved time, or use a non-Westminster approved phrasing of the questions, then he will see them in court. If David had phoned up Alex Salmond and conveyed this message in a private conversation then I imagine Alex would have become a bit cross. Fortunately David decided to announce this through the media, thus avoiding any possible dispute or anger on the matter. Shockingly, it didn’t go well. 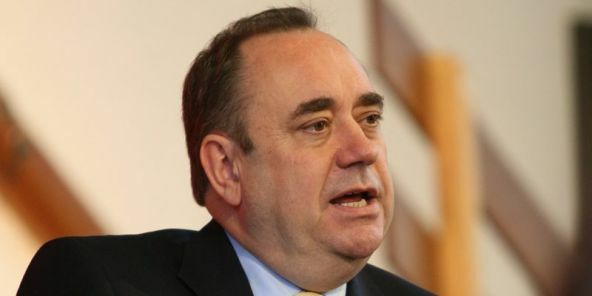 Alex, after he finished laughing and estimating the huge swing towards Scottish independence that David had just caused, announced that he would hold the vote on his terms and it would be in 2014 to coincide with the 700th anniversary of the battle of Bannockburn. If I were a skateboard driver I think I might say that David had just been “pwned.” I don’t drive a skateboard though so I think I’ll settle for him being made to look like a half-witted colonialist. What was David thinking? He has unpreparedly set himself up against a man who, throughout his entire political career has been preparing for one thing and one thing only – Scottish independence. Additionally he has decided to try to put this man in his place by using the tactic of a posh Englishman in London telling him exactly how his referendum for the Scottish people is going to work. In a debate that could last for the next two and a half years, David has put himself on extremely shaky ground from the start. Let me move on to talking about Alex Salmond. That is not critical in this debate but I thought I should mention it. Secondly, although I do not support Scottish independence, I do have to admit that Alex, unlike David, is an extremely competent politician and David taking him on at his specialist subject through some dogma in the media is like me and my mum taking on Manchester United at football. Every poll I have seen in my lifetime has shown that the majority of the Scottish electorate would prefer to remain part of the UK. If David keeps on his current course however, he may well reverse this in time for the referendum, whenever it may happen. The cynics among you may have spotted another reason for this perceived incompetence. Following the 2010 UK general election, from Scottish constituencies the Labour party had 41 MPs in Westminster. How many did the Conservative party win? Give yourself a pat on the back if you answered 1. A UK general election without Scottish seats would make a Labour victory much, much harder than it would be otherwise. Although Cameron can’t be seen to be the man trying to break up the union, could it really be that he is more cunning and competent than he is letting on? Could it really be that he is exercising a campaign to actually encourage Scottish independence through a massive double-bluff? If so I was wrong earlier and he is truly a politician of unparalleled skill. Oh but wait a moment – how would you explain these? In complicated situations such as these we should look to Occam’s Razor. And that strongly suggests that on this and other important matters – David Cameron has no idea what he is doing. Re. The devolution: Does Scotland get to keep the Royal Bank of Scotland’s £182bn toxic assets currently at Treasury’s Asset Protection Agency? Thank you for this. I really appreciate when people south of the border try to look at things from the other side. I’m sick at the thought of independence, but recognise that the Tories’ approach to the fight isnae helping one bit. They can’t pick the battle, so they are trying to pick the battlefield, and think that the Eurozone crisis will scare folk off the idea of losing Sterling. 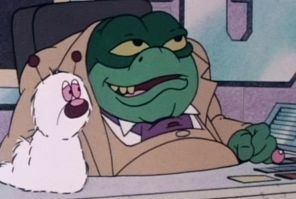 But these bully-boy, old-school tactics just drive more people into the arms of Baron Greenback (love this comparison).